Our Board of Advisors is comprised of leaders from the public, private, and academic sectors who hold significant authority in their respective fields, and have led and/or mentored large-scale public projects. CEO, Mercantile Office System Sanjib Raj Bhandari, one of the founder directors of IRAS, is the CEO and Proprietor of Mercantile Office Systems (MOS), one of the largest hardware and software vendors in Nepal since 1985. MOS distributes and supports products from IBM, Acer, Cisco, Epson, DataCard, Hutchison etc. and also takes pride in its flagship software product, Pumori Banking software, is the largest selling banking system in Nepal and is also one of the largest software product developed in Nepal. He is also the Chairman and CEO of Mercantile Communications, Nepal’s first and largest Internet Service Provider with the point of presence in Kathmandu and 12 cities around Nepal. Besides these, he is also the Founder and Director of Serving Minds Pvt. Ltd and several media houses like Himal Media Pvt. Ltd., HITS Nepal Pvt. Ltd., Nepalnews.com, to name a few. He has also diversified his portfolio to hydropower sector with the opening of Shangrila Energy Ltd. (Butwal Power Co. Ltd.). 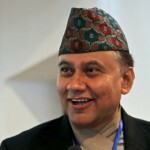 Dr. Shankar P. Sharma was appointed as the Ambassador of Nepal to the US on August 3, 2009. Previously, he was Vice­ Chairman of the National Planning Commission, Nepal from 2002 to 2006. Dr. Sharma also worked as a consultant to the Constitution Committee on “Distribution of Natural Resources, Economic Rights and Public Revenue” in helping to draft the new Constitution of Nepal. He also served as a Professor of Economics at the Centre for Economic Development and Administration, Tribhuvan University in Nepal. 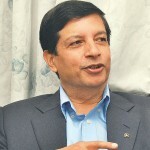 In his long and distinguished career with the Government of Nepal, spanning over more than a decade, Dr. Sharma had extensive dealings with senior levels of donor governments, development agencies, NGOs and the corporate sector in policy dialogue, foreign aid, peace-building and development of the country. He has a Ph.D. in economics from the University of Hawaii. Professor Marshall Ganz is a Senior Lecturer in Public Policy at the Harvard Kennedy School. In 1964, a year before graduating from Harvard College, he left to volunteer as a civil rights organizer in Mississippi. In 1965, he joined Cesar Chavez and the United Farm Workers; over the next 16 years he gained experience in union and community issues, and political organizing, and became Director of Organizing. In 1991, he returned to Harvard College and completed his undergraduate degree in history and government. He received his MPA and Ph.D. from the Kennedy School in 1993 and 2000. He teaches, researches, and writes on leadership, organization, and strategy in social movements, civic associations, and politics. A former Secretary of the Government of Nepal, Mr Krishna Gyawali, joined Nepal Civil Service in 1984. He worked as Secretary at the Ministry of Industry, Ministry of Environment (later renamed as Ministry of Science, Technology, and Environment) and the Ministry of Local Development, and as a Joint Secretary at the Ministry of Finance where he headed the Foreign Aid Coordination Division. He is a graduate in Sanskrit and Law, and holds Master’s in Political Science and Public Administration from the Tribhuvan University in Nepal and Master’s in Development Administration from the University of Birmingham, UK. He has been a Hubert Humphrey Fellow at the Michigan State University, East Lansing and a participant to the Leadership in Development course at the Kennedy School of Government, Harvard. He once worked for the UN peacekeeping missions as a UN Volunteer in Cambodia, South Africa, East Timor and Kosovo. He had been with the BBC Radio’s Nepali service, based in London for a year. 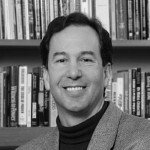 Ronald Heifetz is the King Hussein bin Talal Senior Lecturer in Public Leadership and founder of the Center for Public Leadership. 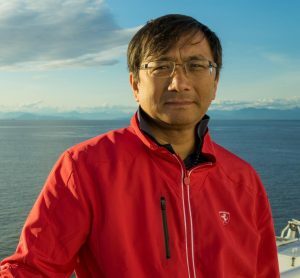 Recognized for his seminal work on both the practice and teaching of leadership, his research focuses on building the adaptive capacity of societies and organizations. He cofounded Cambridge Leadership Associates and coauthored the best­selling Leadership on the Line: Staying Alive Through the Dangers of Leading with Marty Linsky. He speaks and consults extensively throughout the world with heads of governments, companies, and NGOs. He is the subject of many articles and the book by Sharon Daloz Parks, Leadership Can Be Taught. A graduate of Columbia University, Harvard Medical School, and the Kennedy School, he is a physician and cellist. 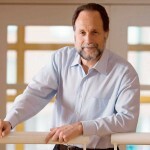 Professor Ricardo Hausmann is Director of Harvard’s Center for International Development and Professor of the Practice of Economic Development at the Kennedy School of Government. Previously, he served as the first Chief Economist of the Inter-American Development Bank (1994- 2000), where he created the Research Department. He has served as Minister of Planning of Venezuela (1992-1993) and as a member of the Board of the Central Bank of Venezuela. He also served as Chair of the IMF-World Bank Development Committee. He was Professor of Economics at the Instituto de Estudios Superiores de Administración (IESA) (1985-1991) in Caracas, where he founded the Center for Public Policy. His research interests include issues of growth, macroeconomic stability, international finance, and the social dimensions of development. He holds a PhD in economics from Cornell University. 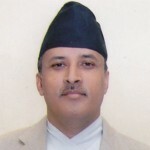 Born in Baletaksa- Gulmi district, Mr. Leela Mani Paudyal served the Nepal Government as the Chief Secretary from August 2012 to July 2015. He has decades-long experience of working at various government offices, committees, and ministries in various capacities: from Officer to Joint Secretary prior to being appointed as a Secretary. He has led Nepalese delegations to different international organizations, and has negotiated bilateral investment protection and promotion agreements. 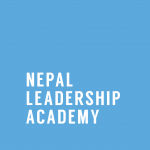 An MBA graduate from Tribhuvan University, Mr. Paudyal published Internal Auditing Theory and Practices in the Nepalese Perspective, in 1991, co-authored with Govinda Panta. With the keen interest in research, he has indulged himself in several research projects with several academic and practitioners in the field of Education, Trade, Community Development, Financial Management and Personnel Management. 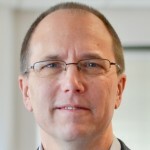 Dennis Whittle is the co-founder of GlobalGiving, where he was CEO from 2000-2010. Currently, he is Director and Co-Founder of Feedback Labs. He has served recently as Executive Chairman of Ashoka Changemakers, Robin Richards Donohoe Professor of the Practice and Social Entrepreneur in Residence at UNC-Chapel Hill, Visiting Lecturer at Princeton University’s Woodrow Wilson School, and Visiting Fellow at the Center for Global Development. He is the founder and President of The Whittle Group. Previously, Dennis was an economist at the World Bank (1986-2000), where he lived and/or worked for many years in Indonesia and Russia. His team there also created the Innovation Marketplace in 1998 and the Development Marketplace in early 2000. In 1984-85, Dennis worked for the Asian Development Bank and USAID in the Philippines, where he was an extra in one of Chuck Norris’s best movies, “Missing in Action” (1984). In his formative years, Dennis was a short-order cook and busboy at several restaurants, including the late Oasis Restaurant in Leitchfield, KY and the late Porthole Restaurant in Chapel Hill, NC.